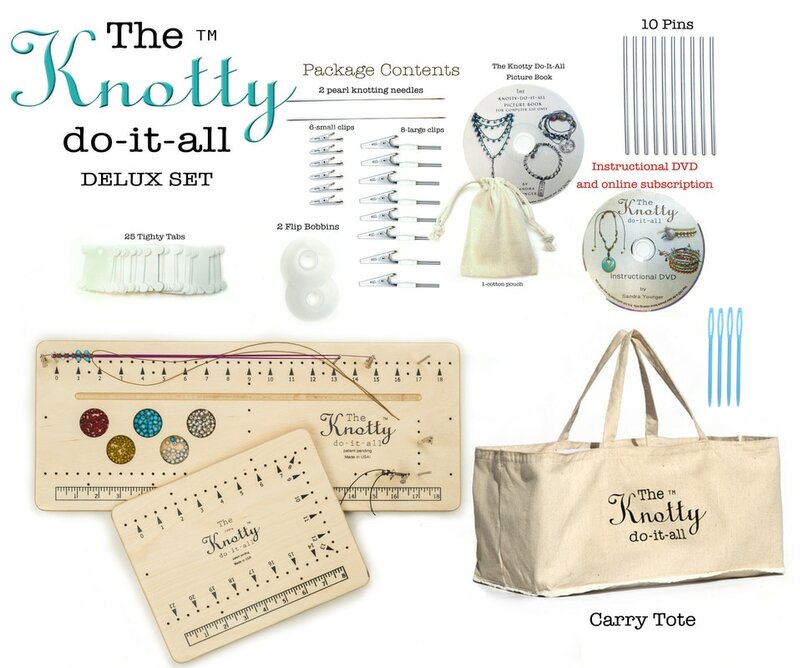 Sandra Younger's Knotty Do-It-All is a multi-functional cord knotting tool that will help you quickly and easily master a variety of knotting techniques, including coil knots, moose knots, overhand knots, macramé, braiding, and much more. 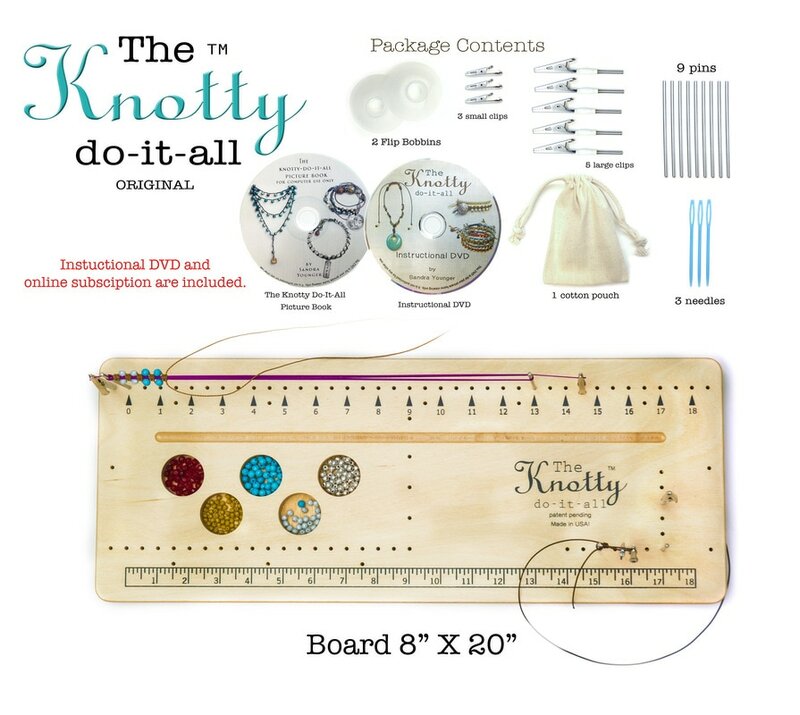 The sturdiest, most versatile cord knotting tool on the market today includes an easy-to-follow instructional DVD and E-Photobook showcasing a wide variety of bracelets and necklace designs. 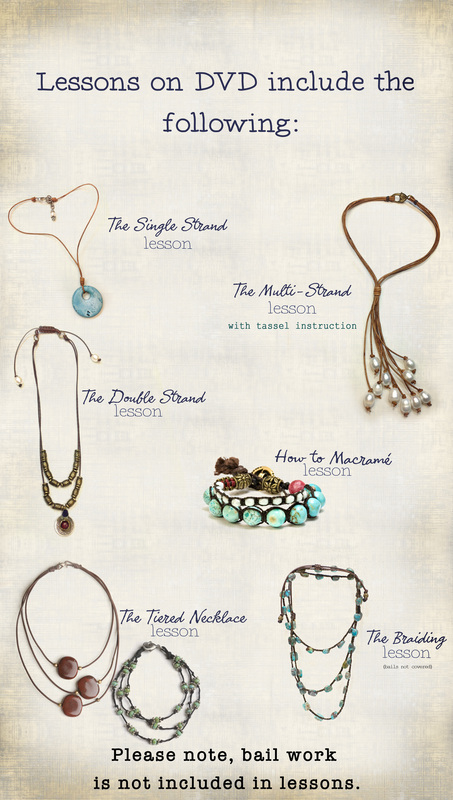 With no experience, you can make professional-looking jewelry in just minutes! ​Please note, instructional DVD requires a DVD player. 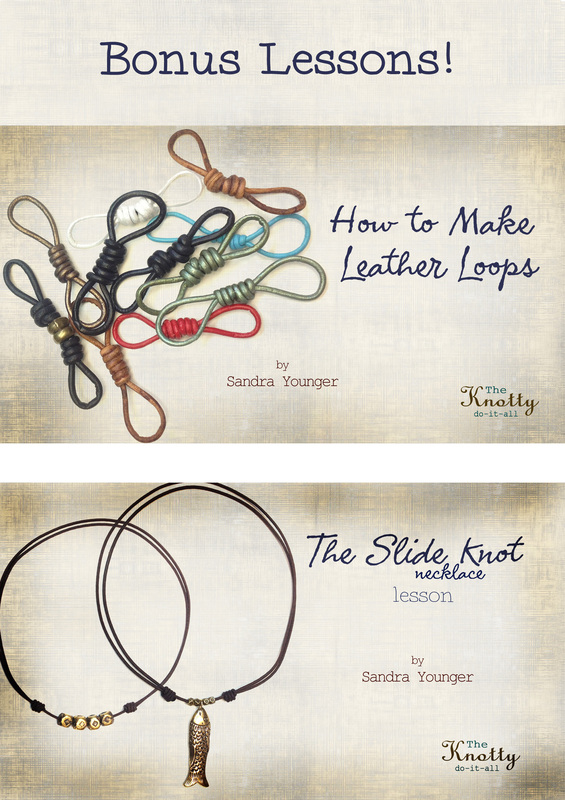 E-subscriptions include two additional tutorials: How to Make Leather Loops and The Double Slide Knot Necklace and a download link of the Knotty Do-It-All Picture Book.